Last week I shared some of my highlights of 2017. 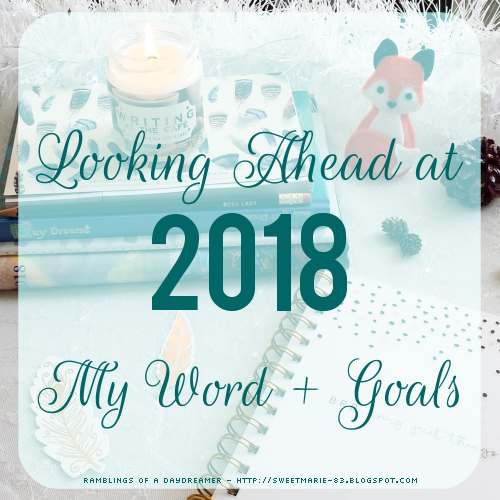 This week, I'm sharing some of my 2018 goals. I've talked plenty about how the last two years have been difficult for me; between anxiety, depression, and family issues galore, I’ve found it hard to find motivation and even harder to stay focused. That’s why my Word for 2018 is Focus. Unlike most other years, 2018’s Word came to me with complete clarity a few weeks ago. I feel like it encompasses so much more than just the definition of the word itself entails. I want to focus on the most important things in my life: my family, and the people closest to me. Focus on my writing, marketing, and publishing. Focus on my mental and physical health, and living a life of intention and purpose. Focus on my goals and bringing them to fruition. Focus on being present and enjoying life. Focus on the positive. Focus on my inner voice and listen to it when it tells me to fight my fears, push past my doubts, step outside my comfort zone, and also when it tells me to pull back, rest, and recharge. I have a lot of plans for 2018, and yet I want to be realistic. While my first inclination is to DO ALL THE THINGS, I think that’s been my problem the last few years. I realize early on I can’t do all the things (at least not the way I initially imagine) and then I get overwhelmed and lose motivation, drive, and, yes, focus. I’ve spent a lot of time thinking this over, putting down the ideas swirling through my brain, and I think my goals for 2018 are realistic and manageable. *Continue to grow my community on Bookstagram and Instagram. I can’t lie and say I don’t want to grow my following on both accounts, but making friends and connections is so much more important, and I’m lucky to have made so many amazing friends already. *Take better care of myself. Eat healthier. Get more exercise. Get outside more. Take more time for self-care. *Continue to work on being more mindful and present. I'm ready for a year of possibilities. Of adventures. Of setting and then smashing goals. Of change. Of laughter and happiness and love and positivity and challenges and hard work and wonderful new memories. I'm ready. Welcome, 2018. 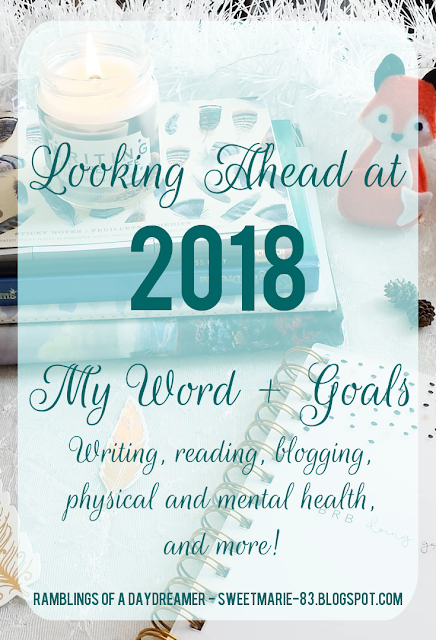 What are some of your goals for 2018? Do you set daily, weekly, or monthly goals? Do you have a Word for 2018? 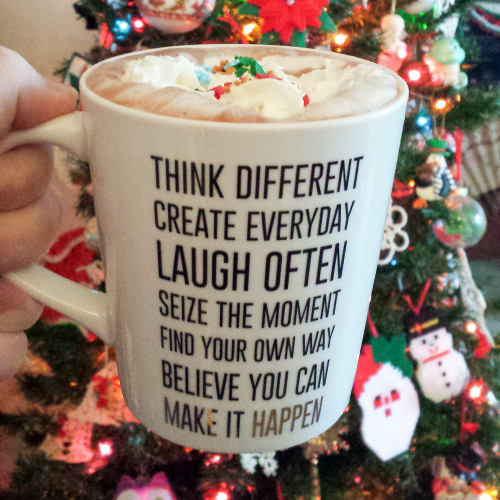 I'd love to hear about your plans for the year ahead! Good luck with your goals wishing you all the success and focus for 2018.